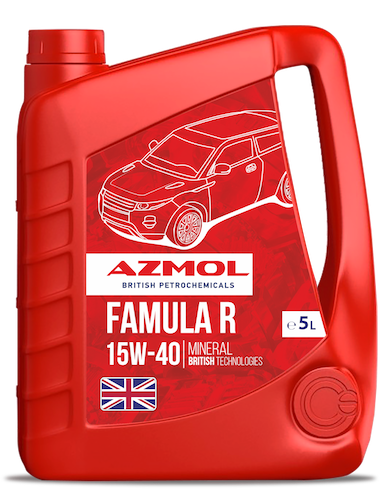 AZMOL Famula R 15W-40 – engine oil for lubrication of main-line trucks, off-road and construction equipment, stationary installations, agricultural machinery, stationary generator sets and high-speed diesel engines on sea transport. It can be used in many cars, light commercial and cargo gasoline engines operating in all operating conditions. The AZMOL Famula R 15W-40 is a mineral diesel oil. Can be used in power-shift transmissions and mobile hydraulic systems where SAE 15W-40 API CH-4 engine oils are specified.